Mark Dunn, Executive VP, and Penny Leigh, Program Manager will be presenting on the domestic shortage of dogs available for explosives detection work. GSPs are one of the most sought-after breeds for explosives detection work. The most sought-after breeds for explosives detection work in public areas are Sporting dogs that are developed from field/working lines. Your bloodlines and puppies are wanted for this important work. 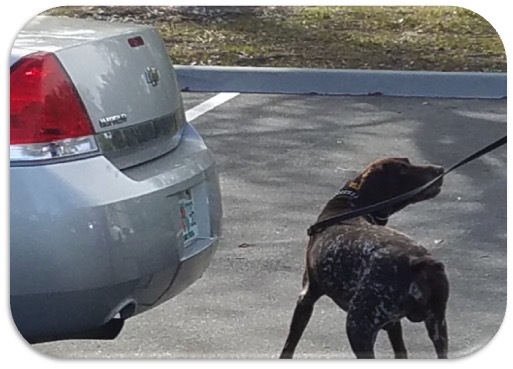 Experts recognize that there is no better or more efficient way to detect explosives than using high quality, specially trained scent detector dogs. Since the terrorist attacks on 9-11, and subsequent attacks worldwide, global demand for high quality explosives detection dogs has skyrocketed. Or call Vanessa at 919-816-3751.